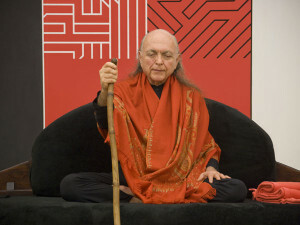 Adi Da Samraj: I was in Bombay with Baba Muktananda in 1969. The room was filled with these well-fed, well-dressed, generally Hindus, all cleanly dressed in their finest. And this man came wandering in off the street. He had nothing on but some sort of a rag that was sort of hanging around his lower body somehow. He was rather filthy. He was incredibly emaciated. You could see he had been spending years just sitting, because his backside and his legs were flattened, and the muscles weren’t working quite well there. And, as is the tradition, he was offered something, some fruit or something. Basically there was a lot of laughing and so forth from all these clean, middle-class types, upper middle-class types, or various signs, at any rate, of their feeling uncomfortable about it and wanting to get him out of there as quickly as possible. But Baba asked him what he wanted. And he said he wanted to be in Samadhi, that’s it. [Laughs quietly.] He wasn’t interested in anything else. And truly he was one of the most serious people there. He was a little used up and nutty, crazy like some get in their independent pursuit of such a thing, but he was really serious about it, about this great purpose. He hadn’t quite gotten there yet, but he knew it was not about sitting around being a body-mind and doing the usual thing with it. He knew that damn well. So he just crawled off into the jungle to sit around in there and try and get out of it. But he wasn’t being successful at it in that independent way. He really wanted to find out how to do it. He was really serious about it. He didn’t want to be associated with the body-mind. He really didn’t like it. That’s one way of getting serious. Its not necessary for it to be that way. Maybe in some cases here and there, but essentially its not necessary for it to be that way. 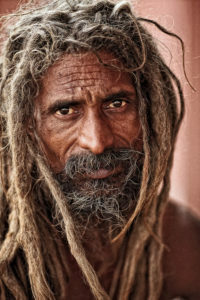 Once you get the thread of seriousness and find what its really all about, you needn’t go off in the jungle necessarily. You have to discipline the life, but you can remain in relatively ordinary circumstances and be just as serious as that man. You could. In fact, that’s what I’m calling you to do. You cant play a trick with it and try and get rid of the body like that man, though. It doesn’t work that way. You have to submit it. You have to be conformed to mastery and to Divine Initiation. Its not enough to presume that you’ll be reborn here, or that you will go some other place or dimension and so on. Its not enough to presume that. Nor is it enough to experience that, if the experience were to occur. Its not consoling to the quick. Its not enough to be consoled. Its not sufficient for one just to be consoled. What you really require is that freedom from fear, Happiness Itself, Divine Self-Realization. And you cant play a trick to do it, some mechanical trick. Its about submitting beyond, to Me. To be conformed to Me, your life is restructured lawfully. Its more interesting than you can imagine. Well, do any of you have any questions about all of this? Do you all know what this is all about and how to do it? Well? Anything at all? Does that mean “no”? Are they done? DEVOTEE: It feels like it. 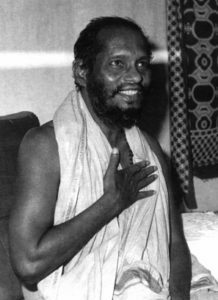 DEVOTEE: Beloved, You’re the Perfect Demonstration of that State, as I see You now, the Perfect Demonstration. Lovely story. Thank you for posting. Most refreshing. O what Bliss is this?